We all know the saying, “There are plenty of fish in the sea.” While that saying applies really well to someone who is seeking their soul-mate, unfortunately it doesn’t apply to businesses looking to find quality employees. For a majority of Utah employers, the struggle to find talent is more real than ever. The job market in Utah has been so extremely competitive these last couple of years, I’ve started referring to is as a Feeding Frenzy! 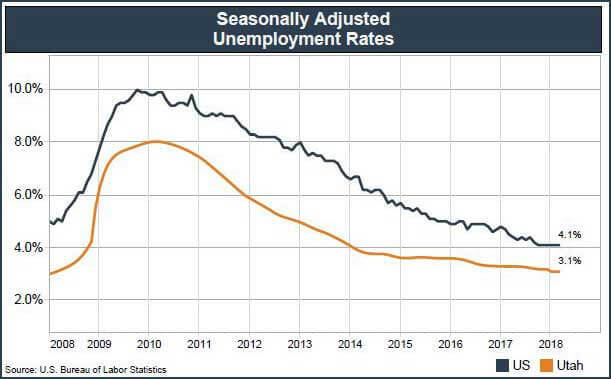 As you can see in the chart below, we are going on 8 years of a steady decline in our unemployment rate. Sure, low employment can be a good thing for our local economy and is a sign of employment and financial stability for most Utahans but for Utah employers, it's not necessarily a pretty sight. Fewer employees looking for work means the employment market is getting more and more competitive to attract what little talent is available. Employee = Bait: When an employee goes online to one of Utah’s many job boards and uploads their resume, it’s just like throwing a goldfish into a piranha-filled fish tank. 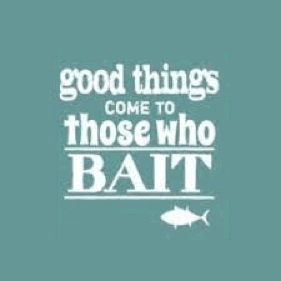 The employer who acts quickest can usually grab the bait before anyone else. Although they may feel like they are a piece of bait with so many employers contacting them so quickly, the employee is in a unique position to be selective with who they will ultimately choose to interview with. There is more than one kind of “bait” so here I’ll refer to them as “worms” and “bait fish.” Worms are the less appealing applicants without much experience or many skills. Bait fish have more experience and are more educated employees who are more appealing to higher-end employers. Average Employers = Fish: These “fish employers” pay low wages, don’t have the most competitive benefits, aren’t well known for their culture or work environment. These employers are caught in the endless cycle of fighting for employees but end up getting the “worms” or even the scraps and leftovers from the employers listed below. This means they have to accept employees with poor work history who don’t have the ideal skillset for the job. The employees left behind have low engagement and commitment to their jobs. They jump from one employer to the next continually looking for a “better” job. News flash! It’s not the job that is causing turnover! It’s a combination of average employers who continually hire average employees. Good Employers = A Marlin: A “marlin employer” has competitive wages, has a good reputation for how they treat their employees, have a culture their employees are proud to represent and they provide their employees with decent benefits. These employers are not part of the school of fish out for a feeding frenzy, they are selective and can pick and choose the best “bait fish” they want to bring onboard. You don’t have to be a BIG employer to have a BIG impact on the people you work with. Also, it doesn’t matter how big the pool of employees is, the “marlin employer” can be selective and has a better chance of catching the prize employee. Best-In Class Employers = Shamu: These employers have such a good reputation that people everywhere watch in awe from the sidelines wondering how they are so successful. They do things for their employees that make other employers wonder, “How’d they do that?” or “Why didn’t we think of that?” Employees who have heard about their reputation apply directly with these employers and avoid the turbulent waters of the job-board-world caused by the average employers. These “Shamu employers” are practically fed the best “bait fish” on a silver platter by having a large resume reserve of employees who are all waiting eagerly to leave their average employer and join the winning team. How Can Employers Survive and Thrive? Evaluate your company culture to ensure current staff members are satisfied which will ensure your good reputation spreads. Reconsider your advertising practices to ensure they are attracting talent. You don’t want to have to hunt for talent, you want talent coming to you. Be flashy. Revamp your interviewing and on-boarding practices. You only get one chance to make a good first impression so your new-hire process should be fun and engaging. You get what you pay for… Offering very competitive wages will ensure quality employees leave their current “average employers” and then stick with you for the long-term. Help your employees grow. Develop them. Recognize them. Help them achieve their aspirations, even if that means they out-grow your organization. True success is found in helping others succeed. If your organization is feeling like “a fish out of water” in this “feeding frenzy” employment market and would like help elevating your employment stature, give Your Employment Solutions a call. 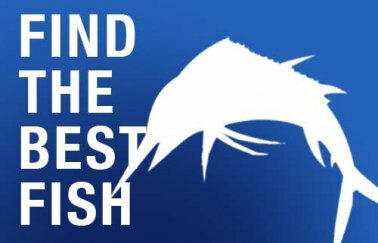 With over 20 years of experience, we’ve worked with hundreds of organizations, from the “Average Fish” to the “Shamu Employers” in this Utah market. We’ve seen first-hand what works and know well what doesn’t.